As mentioned in an earlier post, Korea is filled with many unusual themed cafes. Another one we visited was called Thanks Nature Cafe, also known as the sheep cafe. 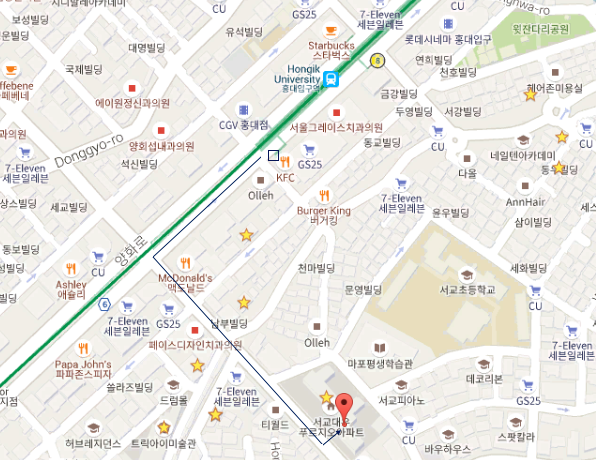 It is located on the main street of Hongdae, near the Honggik University entrance. 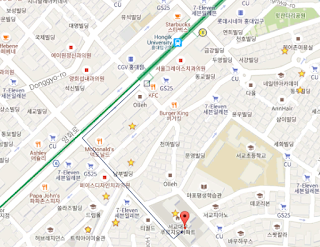 Take the train to Honggik University (Line 2), and get out at exit 9. Then walk straight until you reach the McDonalds and turn left. Continue to walk down until you reach the block with restaurants on multiple levels. The cafe is located downstairs on that block. You are welcome to take pictures of the sheep from outside of the pen, but do step inside and order food/drinks. 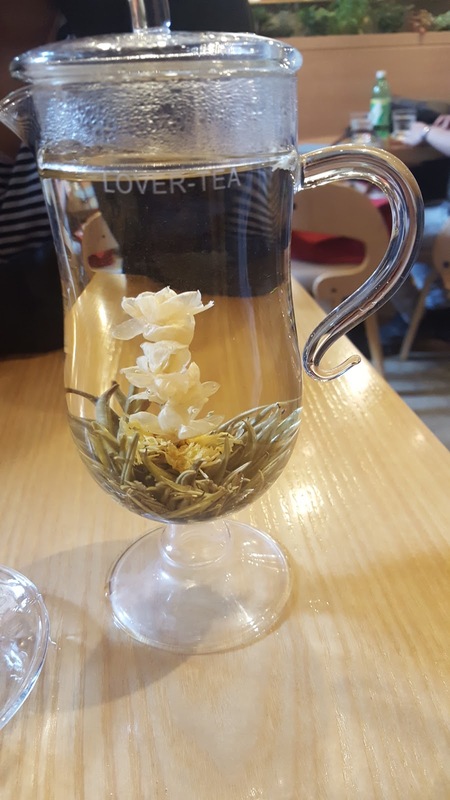 I ordered one of the hot floral teas, which was served in a pretty transparent tea pot. 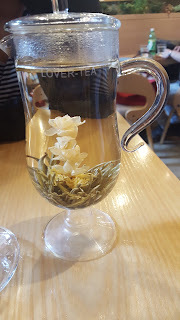 It was fascinating watching the flower "bloom" inside the teapot as the tea was steeped. 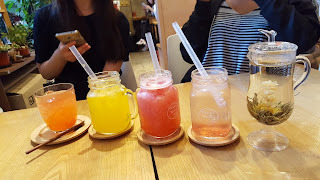 There are also waffles, and cold fruit ades that you can order. 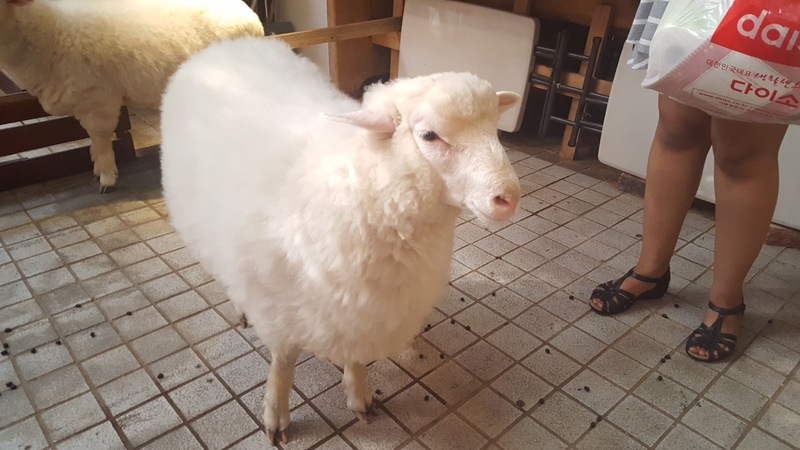 Once you order at the counter, and pick up your order, you are free to enter the sheep area again and if you're lucky, you might be able to feed the sheep as well.